These speeches will address themselves to the minds and hearts of those who read them, but not with the effect they had with those who heard them; Clemens himself would have said, not with half the effect. I have noted elsewhere how he always held that the actor doubled the value of the author's words; and he was a great actor as well as a great author. He was a most consummate actor, with this difference from other actors, that he was the first to know the thoughts and invent the fancies to which his voice and action gave the color of life. Representation is the art of other actors; his art was creative as well as representative; it was nothing at second hand. I never heard Clemens speak when I thought he quite failed; some burst or spurt redeemed him when he seemed flagging short of the goal, and, whoever else was in the running, he came in ahead. His near-failures were the error of a rare trust to the spontaneity in which other speakers confide, or are believed to confide, when they are on their feet. He knew that from the beginning of oratory the orator's spontaneity was for the silence and solitude of the closet where he mused his words to an imagined audience; that this was the use of orators from Demosthenes and Cicero up and down. He studied every word and syllable, and memorized them by a system of mnemonics peculiar to himself, consisting of an arbitrary arrangement of things on a table-knives, forks, salt-cellars; inkstands, pens, boxes, or whatever was at hand-which stood for points and clauses and climaxes, and were at once indelible diction and constant suggestion. He studied every tone and every gesture, and he forecast the result with the real audience from its result with that imagined audience. Therefore, it was beautiful to see him and to hear him; he rejoiced in the pleasure he gave and the blows of surprise which he dealt; and because he had his end in mind, he knew when to stop. I have been talking of his method and manner; the matter the reader has here before him; and it is good matter, glad, honest, kind, just. W. D. HOWELLS. Samuel Langhorne Clemens (November 30, 1835 - April 21, 1910), better known by his pen name Mark Twain, was an American author and humorist. He is most noted for his novel The Adventures of Tom Sawyer (1876) and its sequel, Adventures of Huckleberry Finn (1885), the latter often called "the Great American Novel." Twain grew up in Hannibal, Missouri, which would later provide the setting for Huckleberry Finn and Tom Sawyer. He apprenticed with a printer. He also worked as a typesetter and contributed articles to his older brother Orion's newspaper. After toiling as a printer in various cities, he became a master riverboat pilot on the Mississippi River before heading west to join Orion. He was a failure at gold mining, so he next turned to journalism. While a reporter, he wrote a humorous story, "The Celebrated Jumping Frog of Calaveras County," which became very popular and brought nationwide attention. His travelogues were also well received. Twain had found his calling. He achieved great success as a writer and public speaker. His wit and satire earned praise from critics and peers, and he was a friend to presidents, artists, industrialists, and European royalty. Though Twain earned a great deal of money from his writings and lectures, he invested in ventures that lost a great deal of money, notably the Paige Compositor, which failed because of its complexity and imprecision. In the wake of these financial setbacks he filed for protection from his creditors via a bankruptcy filing, and with the help of Henry Huttleston Rogers eventually overcame his financial troubles. Twain chose to pay all his pre-bankruptcy creditors in full, though he had no responsibility to do this under the law. Twain was born during a visit by Halley's Comet, and he predicted that he would "go out with it," too. He died the day following the comet's subsequent return. 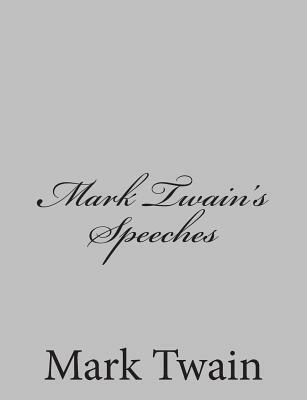 He was lauded as the "greatest American humorist of his age," and William Faulkner called Twain "the father of American literature."